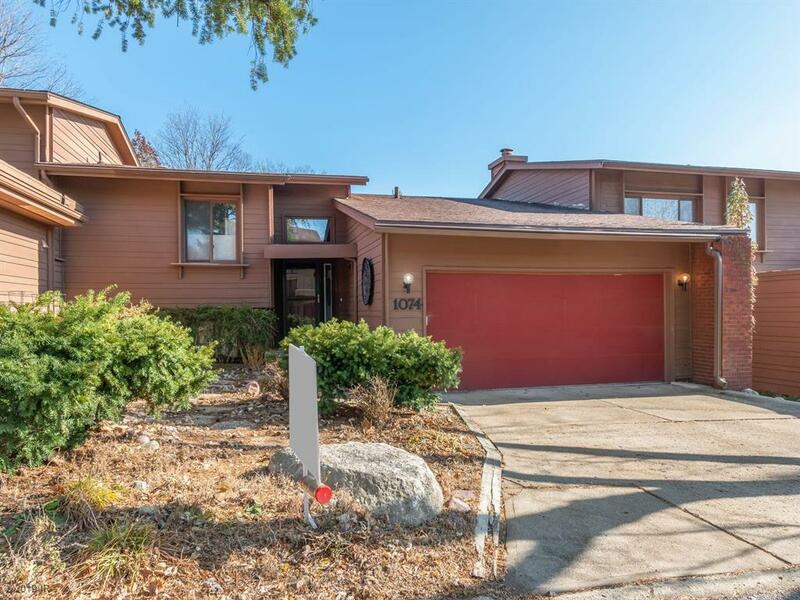 Recently renovated TH in WDM offers neutral updates that await your personal touch. Spacious entry w/new front door & storm door. Open concept kitchen w/center island, butcher block countertop & steps out to extended Great Room with vaulted ceiling. Room to entertain guests with new Pella sliding door to quaint deck nestled into surrounding established trees. Main level BR features a walk-in closet & dressing area. Refinished main level BA offers a tub/shower by Bathfitter. Second BR w/new Pella windows, walk-in closet & updated BA can be found in the walkout LL. Laundry room with washer/dryer that stay, new in 2016. The LL FR can be left as is, or made to feature a 3rd BR with egress window, or private office. The LL walks out through a new Pella triple pane slider to cute patio area & beautiful park-like backyard that is waiting for you and your puppy (no pet restrictions). This move-in ready TH has a 2 stall attached garage & the homeowners association maintains a pool.